Condition: Good. Sufficient margins. Small hole in lower right image part. Else fine. Verso: blank. Large size copper engraving. Map illustrating the English siege and attack on Quebec in 1759 that resulted in the city's capture and ultimately the end of the French and Indian War. Tirion closely copied these details from a similar plan by Thomas Jefferys. 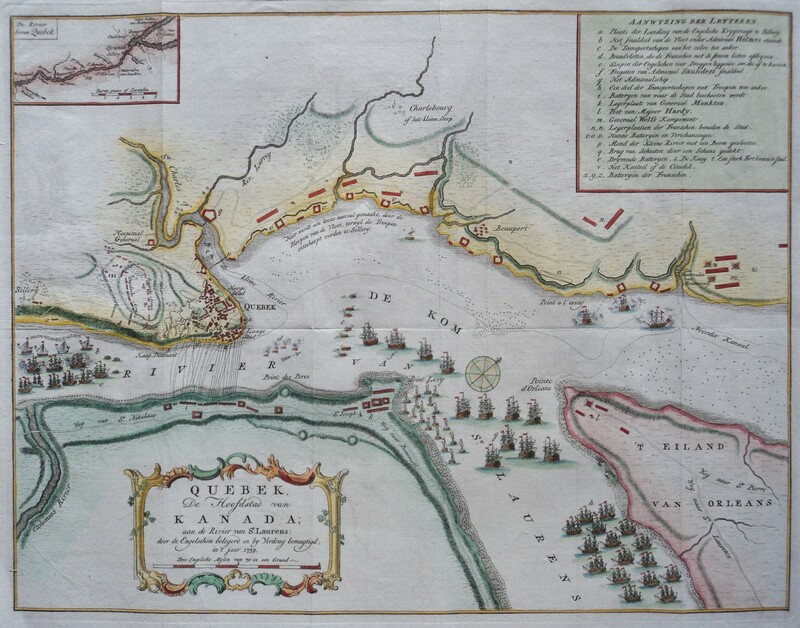 The naval and army positions are graphically depicted and keyed to a table at upper right. There is a small inset of "De Rivier boven Quebek" at upper left. The map is adorned with a decorative title cartouche and compass rose.